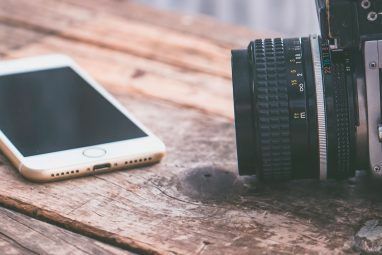 With smartphone cameras being so good these days, it seems that everyone’s a photographer now, especially if you follow these tricks to boost your smartphone photography. But some of us take this hobby more seriously than others, and perhaps even make money from smartphone photography. Whatever kind of smartphone photographer you are, you’re probably on Instagram. But what if you’re bored of everyone’s over-the-top food pics, selfies, and other staged-for-Insta photos? Or you’re just not happy about Facebook’s Cambridge Analytica scandal and want to get away from everything related to Facebook (who happens to own Instagram)? 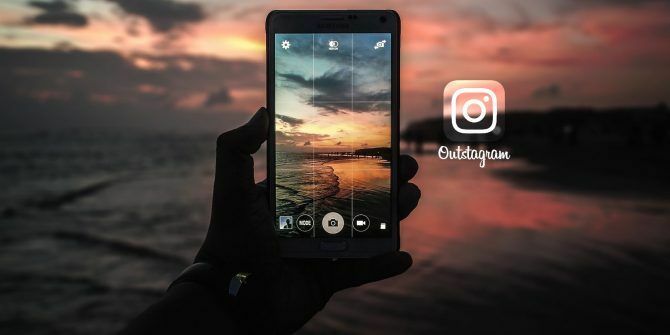 Thankfully there are a number of great alternatives to Instagram. And we’ve compiled a list of them to save you having to go searching. 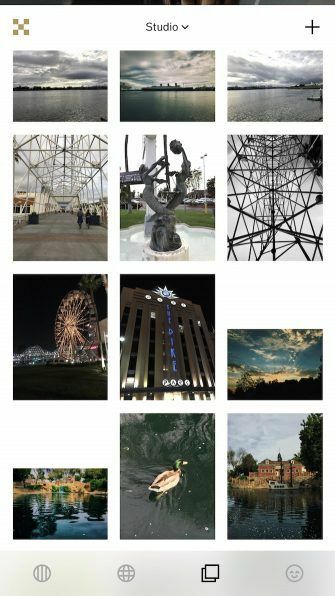 Are you tired of Instagram’s square format for photos? 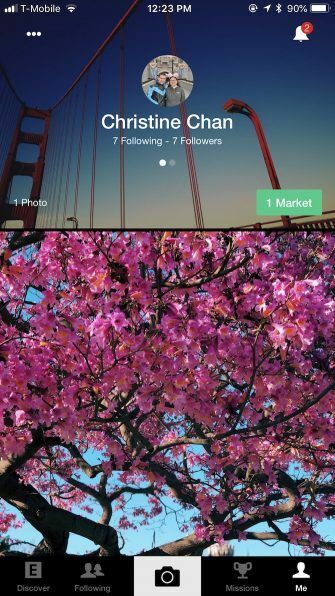 Dayflash is an Instagram alternative with an emphasis on an immersive, full-screen experience. It’s free to sign up for Dayflash. Simply create an account and start sharing your full-screen photos with the world. All images captured with the built-in camera retain high-resolution quality at 1080p. Although in order to reduce clutter they don’t get saved to your device automatically. The viewfinder takes up the entire screen of your device. This format leads to even more aesthetically pleasing photos that look great and are much more lifelike than squares. Photos can get dumped into Dayflash from your Camera Roll or Photo Library. This means you’ll never lose an opportunity to share. These photos use original resolutions, just zoomed in a bit on Dayflash due to the full-screen focus. Dayflash allows photographers to make edits to any image. The photo editor includes basic adjustment tools, and there are fun effects and filters to use as well. When you feel the need to get creative, Dayflash is more inspiring than Instagram. It recommends other popular users on the service to help you discover others who share your passion. 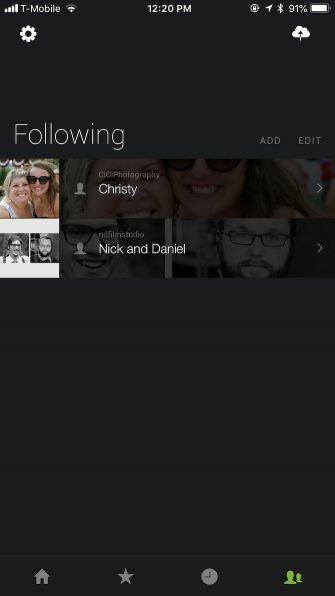 And if you can’t give up Instagram just yet, Dayflash lets you add your Instagram username to your Dayflash profile. 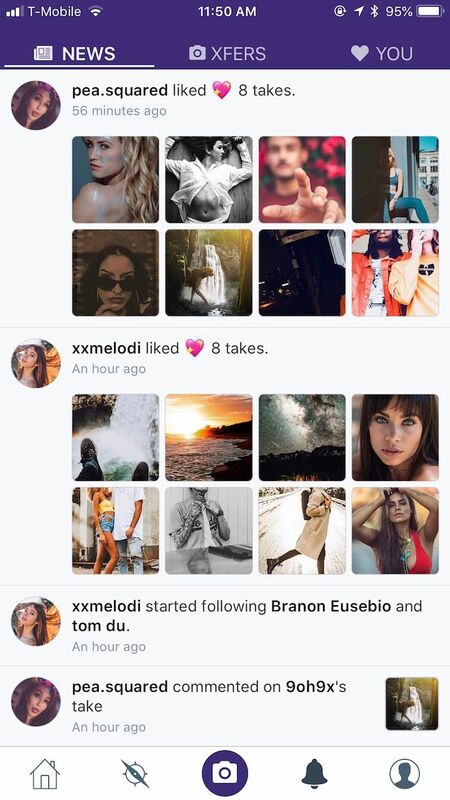 This way, others can check out your Instagram in one tap. SmugMug features a community of photographers built by photographers. It’s a premium service, so “you are not our product but our priority” according to the creators. It’s definitely one of the best places to show off your photographs, and perhaps even make some money off of them. To join SmugMug, you create a free account. That begins a 14-day trial, after which you choose one of four plans: Basic, Power, Portfolio, and Business. The prices start at $5.99/month for Basic and go up to $41.99/month for Business. 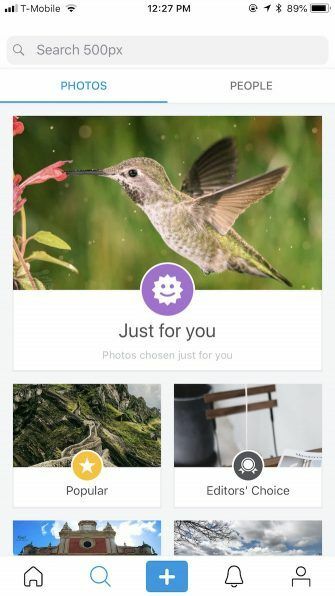 With SmugMug, it’s the best way to view and show off photos from your smartphone. 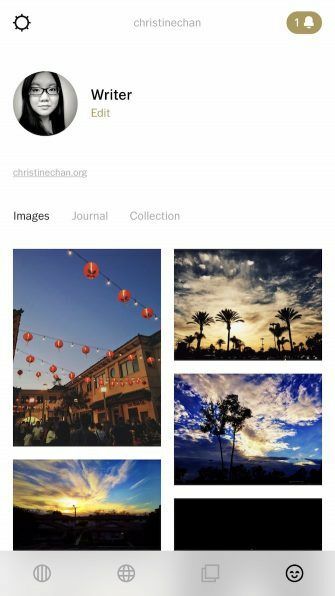 While you can’t create galleries, folders, or pages from the mobile app, you can view all of your collections on-the-go, and upload to them directly from the Photo Library or Camera Roll. SmugMug also gives you unlimited smartphone uploads. For moments when you have less-than-reliable internet connections, SmugMug’s option of downloading entire galleries to be available offline is a lifesaver (and makes it a great Instagram alternative for photographers on the go). That way, you’re still able to show off your best work to friends, family, or clients. Or if you have preferences of what to show, just favorite certain collections for quicker access. SmugMug lets you share Images and video through SMS, email, Twitter, or Facebook, so it’s not limited to in-person viewing. When you need a jolt of inspiration, follow other members of the SmugMug community. The app makes it easy to look up friends, family, colleagues, and anyone else whose work you admire. 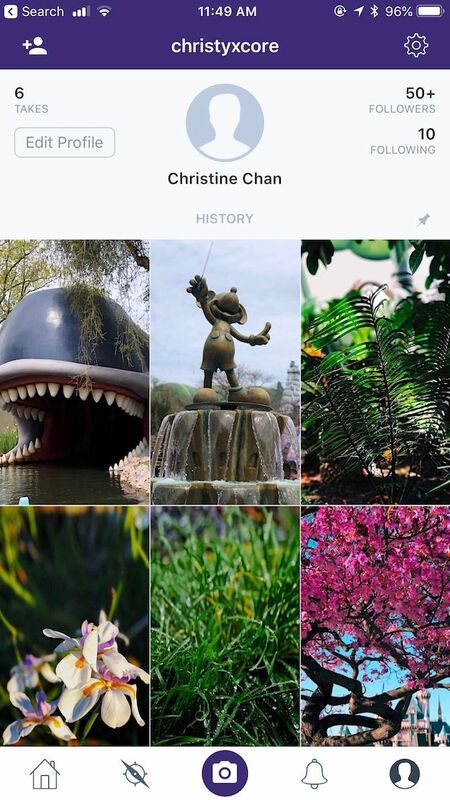 And when you follow someone, you can view all of their public galleries. 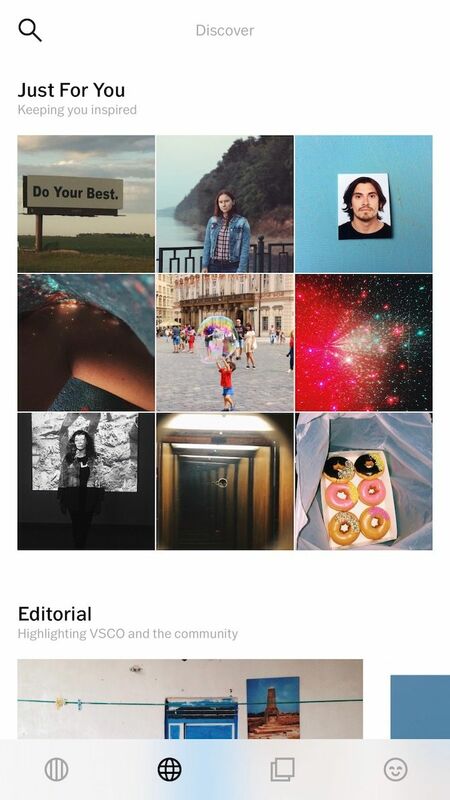 If you want to join a community that rivals that of Instagram, then EyeEm is your best bet. 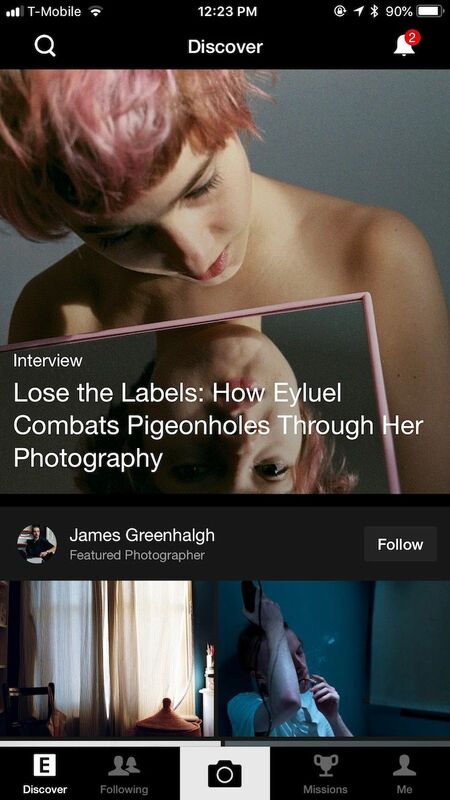 EyeEm’s community is over 20 million strong, and it’s a great way to find inspiration and even make some extra money. 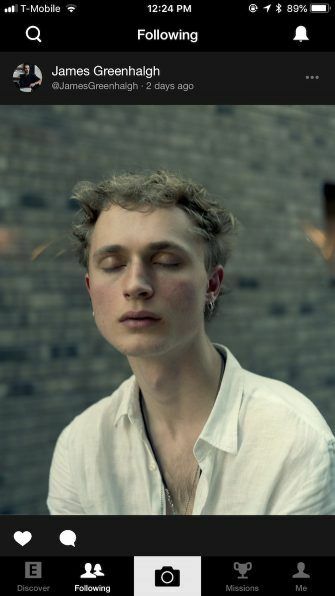 It’s free to sign up for EyeEm with email or Facebook. You’re then greeted with a fresh Discovery screen. Here, you’ll find photos taken near you, interviews with members from the EyeEm community, photography tutorials, photo contests, and featured photographers. It’s a great stepping stone for getting your creative juices flowing. 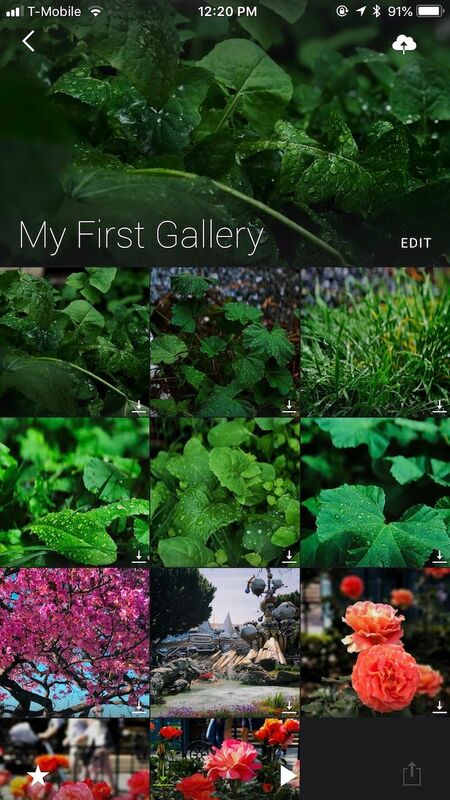 EyeEm lets users snap new photos directly, or import images from the Camera Roll. There’s a feature in EyeEm, Picked by EyeEm Selects, that scans your images and picks out photos with the highest aesthetic score, according to their algorithm. It’s safe and completely private, since the scanning is just done on your mobile device, not on their servers. 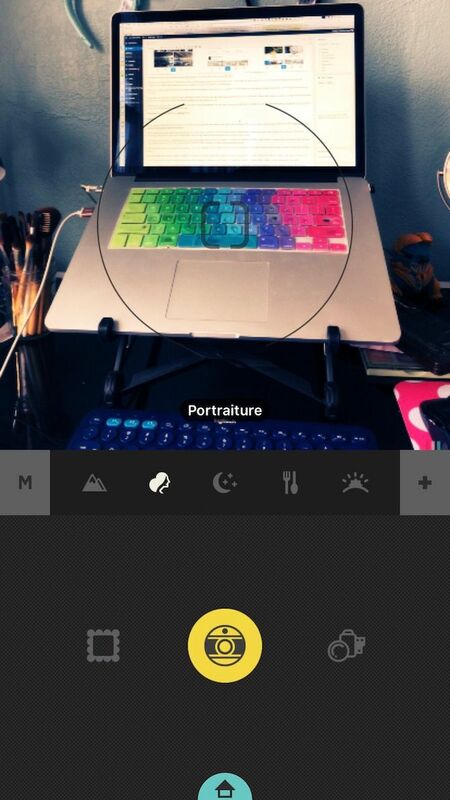 After you select your photo, you can do basic edits or apply filters, and it’s all free. 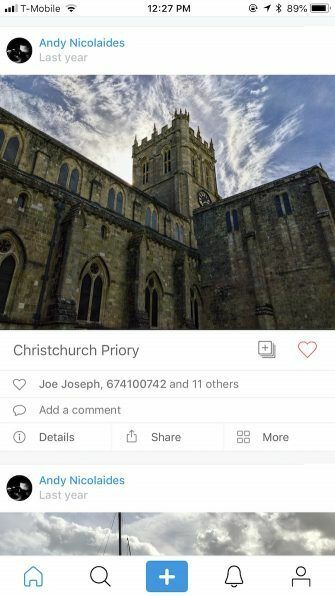 Once that’s done, add a caption, pick out tags (this helps others discover and possibly buy your images), and then bam, it’s uploaded to EyeEm. When you’re on EyeEm, it’s not just about getting likes, which is what Instagram is more about these days. EyeEm focuses on inspiring other members to get more creative with their photos, and you have the potential to make money from your work as a bonus. For those looking for a serious and passionate photography community, then 500px is another option. With 500px, photographers get a community of over 11 million photographers showcasing their work. As you check out other users, it’s easy to find your muse among such talent. The community encourages open feedback from others, helping you grow and mature as a photographer. 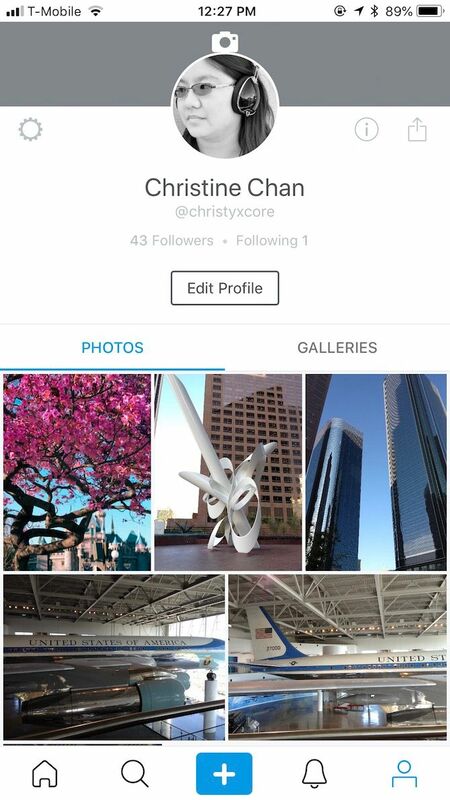 When you’re ready to share, 500px lets you upload full resolution photos directly from your smartphone. Pulse allows you to get instant feedback from others, and you’ll gain recognition for your work. Connecting with other photographers is also important in 500px, and once you start following people, they’ll become a connection. 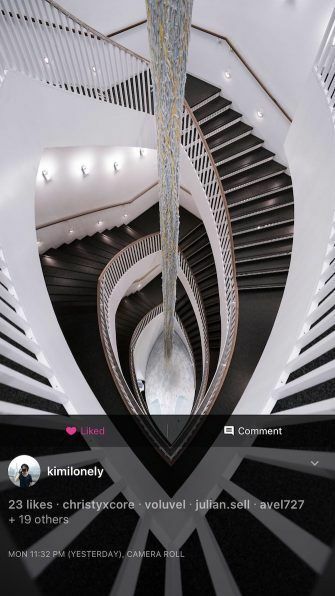 There’s also curation in 500px, so you get recommendations based on your own personal tastes, and Editors are able to provide guidance as well. With 500px, you get a serious community that’s focused on quality photography, not just cutesy photos and selfies like on Instagram. If you consider smartphone photography important, then you should consider joining the 500px collective. 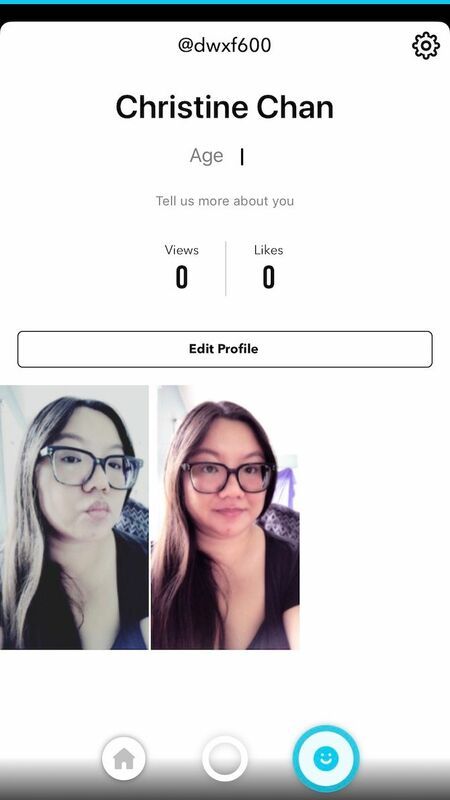 If you want an app like Instagram and doesn’t stray too far from the formula, then Oggl is one to check out. This service comes from the same people who created Hipstamatic, the popular vintage camera app The Ultimate Beginners Guide to Hipstamatic The Ultimate Beginners Guide to Hipstamatic The iPhone photography app Hipstamatic can be a little overwhelming at first, trying to understand how all the different combinations work and what kind of effects you can create using the app. When you first... Read More from years ago. Before Instagram became all the rage, Hipstamatic was fairly popular, especially with the younger crowd. It offered users a unique experience and combined retro cameras with modern technology. Hipstamatic has faded away in recent years, but Oggl has breathed fresh new life into the company. 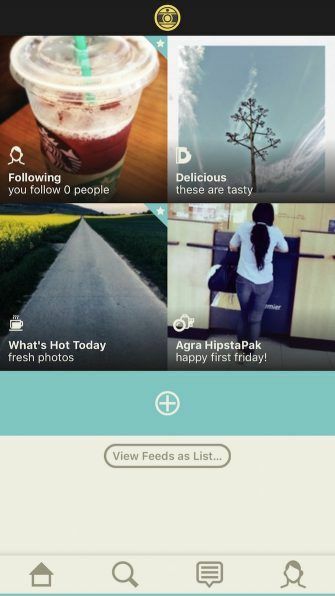 With Oggl, users get the fun of Hipstamatic in a modernized package that’s similar to Instagram. You snap new photos directly with Oggl’s camera, or import from the Camera Roll. Oggl uses classic Hipstamatic lenses and films, and you get live previews while shooting or editing, so there’s no guesswork involved. Oggl has preset combinations for Landscape, Portraiture, Nightlife, Food, and Sunset. However, you can mix-and-match the available lenses to create unique looks for your photos. As you upload photos, they’re available for the rest of the community to check out. Your Oggls can also go to Instagram, Facebook, Twitter, Flickr, Tumblr, or even Foursquare if you want. If you like Instagram selfies, then Retrica will up your game. The focus of Retrica is primarily on selfies and the freedom to express yourself through them. Retrica provides users with a huge arsenal of fun filters that focus on your beauty, so you don’t have to spend time editing them to perfection. 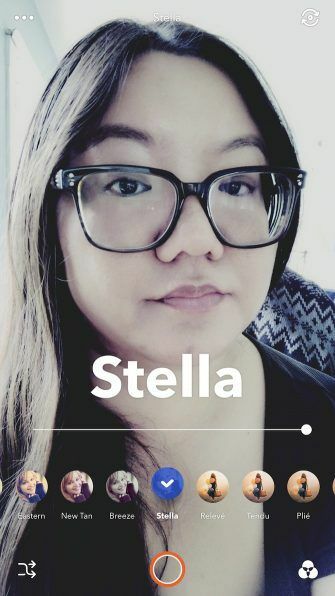 And if you can’t decide which selfie looks best, a built-in collage maker lets you add multiple images and share it with the community. Or you can use Retrica like a retro photobooth. There’s also support for live video, or you can turn collages and videos into GIFs. Because GIFs are more fun, right? And if you’re inclined, you can add stickers from hundreds of options, just like Instagram Stories or Snapchat. 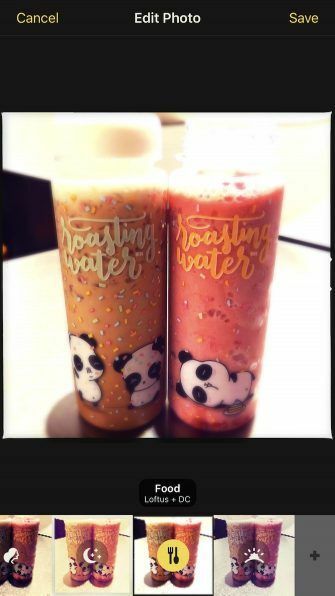 And if that’s not enough, you can doodle and put stamps on your images too. Once you’ve perfected the selfie of the day, share it with the community or to your favorite social networks. Retrica’s populace is also affable, so it’s a great way to make new and interesting friends. When you think of smartphone photography, you may think of Visual Supply Company already. 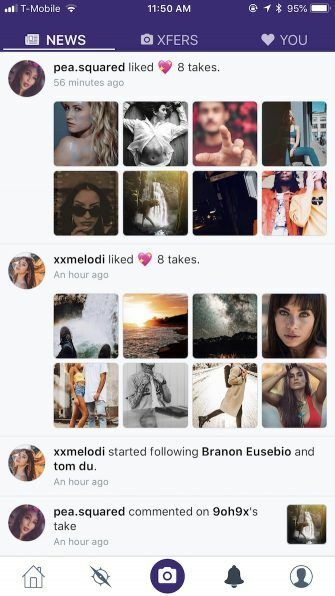 VSCO is well-known for its photo editing software, but did you know it’s also a community? VSCO provides users with a powerful camera replacement as well as a fully-featured photo editing studio. Everything comes in a minimally designed package. The editing tools let you create the perfect picture, and VSCO’s filters are super high quality. The VSCO community is rich with creators from all over the globe. Your VSCO profile serves as a page where you can upload your best shots to share with others, or you can keep a photo journal or collection on the service as well. When others follow you or like your pictures, you’ll get notified. The curated collections in the Discovery section let you find other talented photographers to connect with, eventually leading to inspiration. 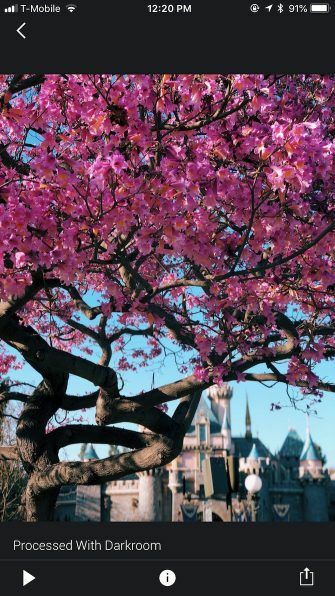 This Instagram alternative has a stronger emphasis on hobbyist photographers, which is great when you’re trying to build your skills and share your shots. VSCO is free to download and use, but there is an optional VSCO X membership. This is a premium subscription that costs $19.99/year and provides full access to all of VSCO’s preset libraries, more editing tools, educational content, and new features. It may be worth investing if you’re looking to expand your photography skillset. 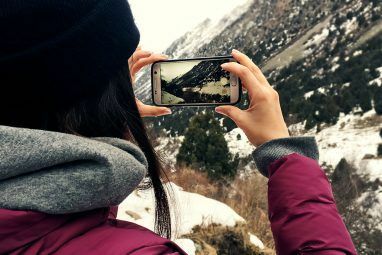 Show Off Your Smartphone Photography! Seeing how popular smartphones are these days, the chances are you’ve acquired a lot of photographs on your device. You’ll want to share these with others, and even find inspiration from other photographers. While Instagram is trendy, it’s not the only place for your photos. We’ve just covered some of the better alternatives out there. 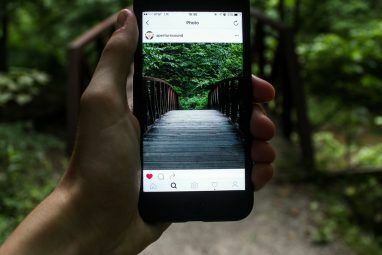 Before you jump into these Instagram alternatives, make sure you check out these great camera apps for Android and iOS The 10 Best Camera Apps for Android and iOS The 10 Best Camera Apps for Android and iOS Here are the best camera apps out there for Android and iPhone that'll bring out the best in your smartphone photographs. Read More , learn how to take unique photographs 5 Tips to Help You Take Really Unique Photographs 5 Tips to Help You Take Really Unique Photographs Taking a photo is easy - it's making it stand out that's hard. Every great photo has something special about it, and that's what makes you stop and take notice. 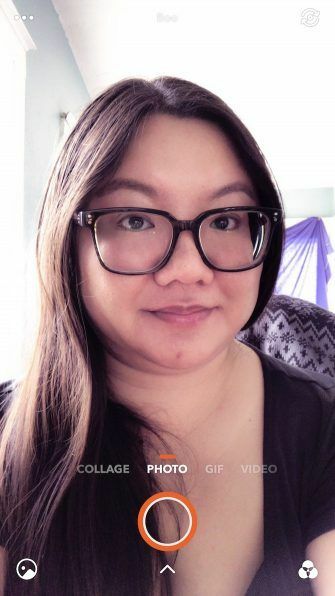 Read More , and perfect your selfies with these tips 8 Fundamental Selfie Tips for Taking Better Pictures of Yourself 8 Fundamental Selfie Tips for Taking Better Pictures of Yourself Anybody can take a selfie, but do you have what it takes to shoot a really great and flattering picture of yourself? That's a trickier skill to master—these selfie tips will help. Read More . Explore more about: Instagram, Smartphone Photography. Thanks for the article. Dayflash seems like a pretty cool app. EyeEm looks nice too. My friend downloaded Dayflash and said she loves it. I'm gonna try both these apps out right now. They gameify your image capturing capacity. You put your pictures on somebody else's server, you no longer have any control over their use. The value of reading the terms and conditions for these kind of websites. The terms and conditions are not worth the pixels or electrons that make up that agreement. Each and every agreement in the world contains the phrase "The provider of the service reserves the right to change the terms of this agreement at any time without prior notification". If the owner of the site where you store your images decides to block your access to those images or to the site, what are you going to do? When Instagram was bought out by Facebook, they notified all the users that "any images on Instagram/Facebook servers will be used in any manner Facebook wants, without any need for the owner's prior permission". In effect they said that any images on their servers now BELONG to them to do with as they please.